Breakdown of bursary and scholarship options in South Africa in the Engineering, Geology, Teaching and Transport sectors! Kantey & Templer consulting engineers have bursary opportunities available for individuals pursuing a career as a Civil, Mechanical or Electrical Engineer. Harmony: Bursary offerings are focused on the Mining Engineering, Metallurgy, Mechanical and Electrical Engineering, Geology and Finance fields. Columbus Stainless Steel: Under their section title people, click on the directory career opportunities and scroll to the bottom of the website page to find out details of their bursary offerings. EVRAZ Highveld Steel and Vanadium: Targets their bursary offering at the engineering field. Eskom: If you interested in electricity this is the bursary for you! Impala Platinum Holdings Limited (Implats): Offers bursaries in the fields of Engineering, Geology and Chemistry. Mintek: Has a full breakdown of their bursary offering. a career in the area of Platinum and Mining. : aimed at the engineering and geology sectors. Gold Fields has bursary awards for the engineering and finance fields of study. BKS: offers bursary options for individuals in the Civil Engineering field. Jones and Wagener: also Offer bursaries in the Civil Engineering field. 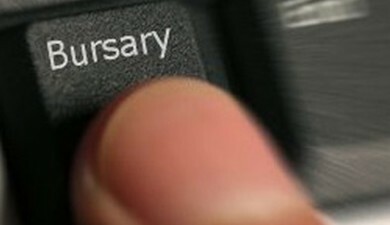 Check out the Funza Lushaka bursary administered by the South African Department of Basic Education.